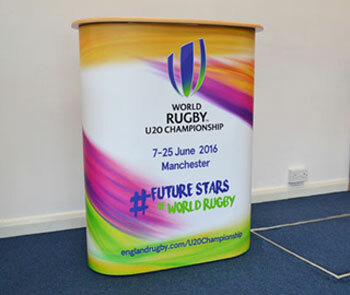 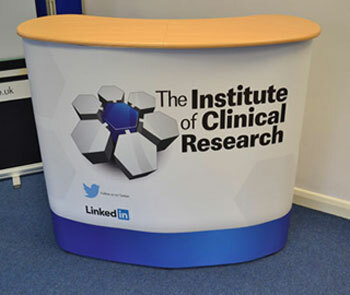 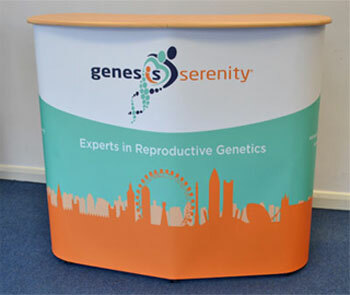 Our range of exhibition counters, podiums and lecterns can be finished with printed graphics or with a simple yet stylish fabric or beech wrap arounds. 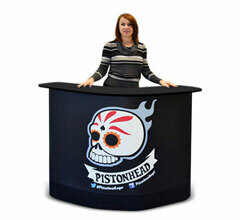 You can also choose from our range of square counters and round counters and larger display podiums such as the Opal, lectern stand or Workstation. 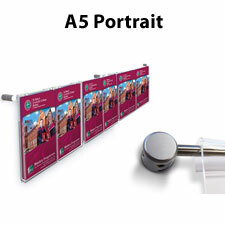 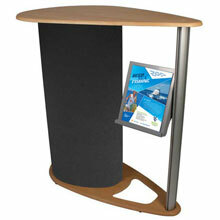 Brochure holders can be incorporated along with rear lockable doors and shelves. 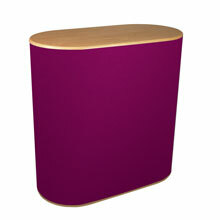 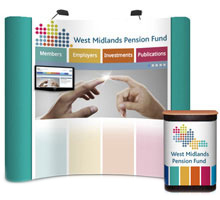 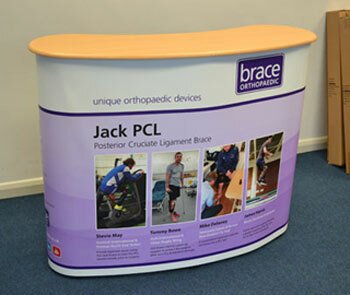 Use our range of portable furniture as a stand-alone display or incorporate them into a larger exhibition stand. 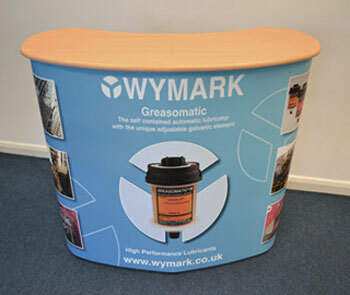 Call us today to discuss our range of versatile display counters. 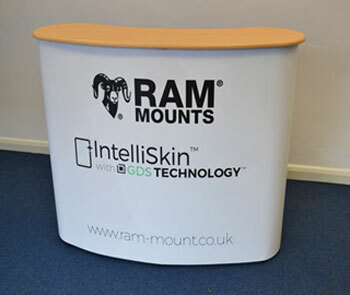 For over 35 years RAL Display & Marketing Limited has been supplying and manufacturing portable counters for trade show exhibitions. 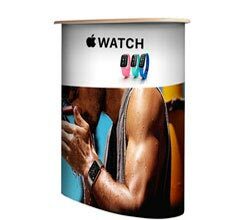 Our collection is broad covering branded counters with printed graphic wraps, exhibition workstations with side banners and square and round portable plinths. 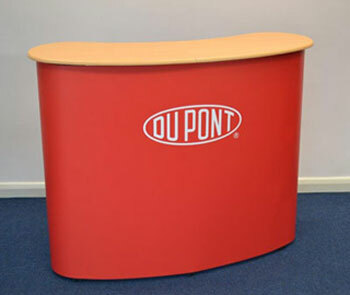 One of our best selling units is the Opal portable counter, supplied with a stylish beech folding worktop, fully branded graphic wrap, rear internal shelves and a semi-ridged carry case. 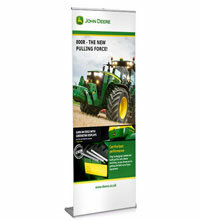 The unit flat packs for easy transportation and can be recovered with new graphics for different shows and product demonstrations. 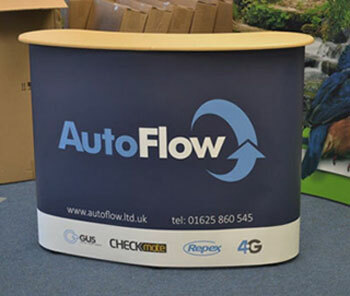 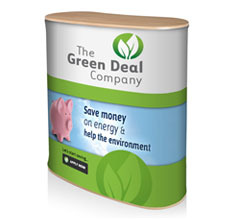 Practically all of our graphics are produced in-house using premium materials and original HP inks and we pride ourselves on offering quality products at highly competitive prices. 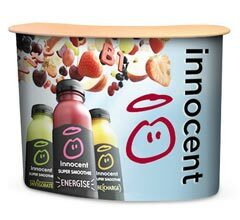 If you need assistance with the creative side of things why not call one of our experienced graphic designers on 0116 2554640.